A pain point refers to any factors that slow down a customer’s outreach to a business or vice versa. They usually deter customers from enjoying the consumable benefits that a brand can provide them. Any process pertaining to a bank that makes life hard for its customers is as much a pain point to the bank. Solved or unsolved, they ultimately affect the revenue and reputation of banks. At the same time, every pain point identified is an opportunity to provide better customer solutions and profit-building measures. Pain points present a chance to be foresighted about customer-facing issues. How to reduce customer pain points in banks? Being reactive to pain points, and then solving customer-centric problems doesn’t paint a good picture of the organization. Banks need to be proactively strategic to see off issues before they actually happen. Serving customers with much-needed interventions that add value to their relationship with the bank, is the basis of realizing customer profitability while minimizing the pain points of customers. Identifying customers’ issues must happen well before they reach out to their bank about a pain point, or even before they know what factors have been affecting their perception of “value” from the bank. For this to reflect on your performance in the long run, a cloud platform that maximizes customer value would come in very handy, or would perhaps become quintessential in this evolving age of consumer expectations and professional rivalry. Customer value works in tandem with customer pain points, as one is directly dependant on the other. High customer value means a low magnitude of pain points. What is the role of process automation (marketing) tool? The role of a customer value maximization (CVM) tool is to engage the customers of a bank with marketing conversations that are deeply relevant to them. With data mining and deep learning of customer data and their online behavior, select and well-curated products/services are offered to targeted customers, who are potentially looking forward to converting. For instance, a customer looking for a credit card which has an upsized credit limit would not get an insurance offer from the bank if she/he hasn’t shown such aspirations in their behavioral data. AI-based marketing automation tools avoid bombarding unwanted offers to random customers. The USP is that this system captures customers’ true intent to offer them timely and much-needed marketing interventions – even if customers remain reluctant or haven’t made a move to communicate their needs and willingness. So, it triggers the intent that’s already there in customers to help them make smart choices, which are in keeping with their financial requirements and organic needs. Where exactly does an AI-enabled marketing tool work its wonders? Banks get so caught up in the customer acquisition race that they end up unknowingly neglecting their existing customer base. The thing about the existing customer base is that they already have a well-established relationship with their back. So, ignoring them constitutes most of the pain points. As far as reports go, existing customers are the ones who constitute a majority proportion of key performance metrics in banks, or any other organization and business verticals, in that case! · Ease of Use & Accessibility. Mobile banking applications need to provide an unparalleled customer experience. Customers should be given the power all the vital bank-related touchpoints from a single place. This would include the accessibility of multiple accounts from a single banking app. Any customer a bank’s mobile banking app can manage multiple accounts, credit card and debit card processes, transfer balance, and a lot more from the banking application itself! By providing a seamless omnichannel interface, customers have considerably reduced pain points to deal with. · Personalized Banking Experience. Banks face issues in revenue generation as they lack a robust system that could help them understand the evolving range of customer expectations. These are expectations that are financial in nature. So, when an existing customer engages with the bank’s digital avenues like the app or even online channels. The transactional data of customers, their online behavior, demographics put together contribute heavily to understanding the customer at a personal level. All these data enable to trace every customer’s financial aspirations with the help of data mining, Big Data, deep learning, and other accompanying data-backed mechanisms. This also includes market segmentation based on common/divisive interests of customers – makes it all the more easy to approach them with what they want. 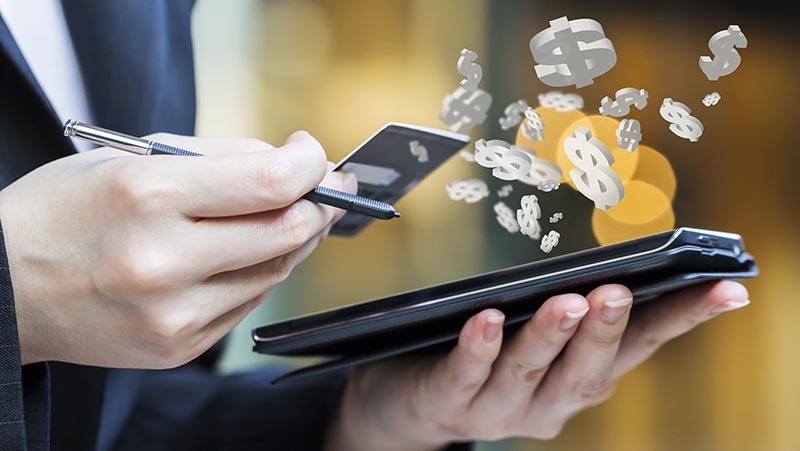 This ensures that customers receive marketing messages financial services and bank products that they have indicated to be interested in, or even need them very dearly to solve various financial situations. But banks, having learnt about what they want through the clues left behind in various sales channels, now know how to treat their customers better and surprise them with something like a Personal Loan that is much-need to them. Serving customers in a personalized capacity without them asking, not only addresses pain points but also sells customer satisfaction more than the financial product itself! know their customers better and curate products in keeping with their interests. Feedbacks and interactions with customers through mobile banking are also safe-kept by banks to enhance overall customer experience. If this piece made you self-introspect from the perspective of your bank, be sure to implement customer value management mechanisms to counter customer pain points rather than reacting with evasive counter-measures. Addressing customer pain points starts at the grassroots level of building a relationship with customers; not through interim decisions that try to temporarily sort out pain points and the eventual customer attrition.